A: “For most internal problems, eating garlic raw is probably the most potent way to take it. However, due to the obvious lingering odors associated with this, a tincture can be made by soaking 1/4 pound of peeled and separated garlic cloves in 1/2 quart of brandy. Seal tightly and shake every day. Strain and bottle after two weeks of this, and take in drops – 25-30 a day, if desired. 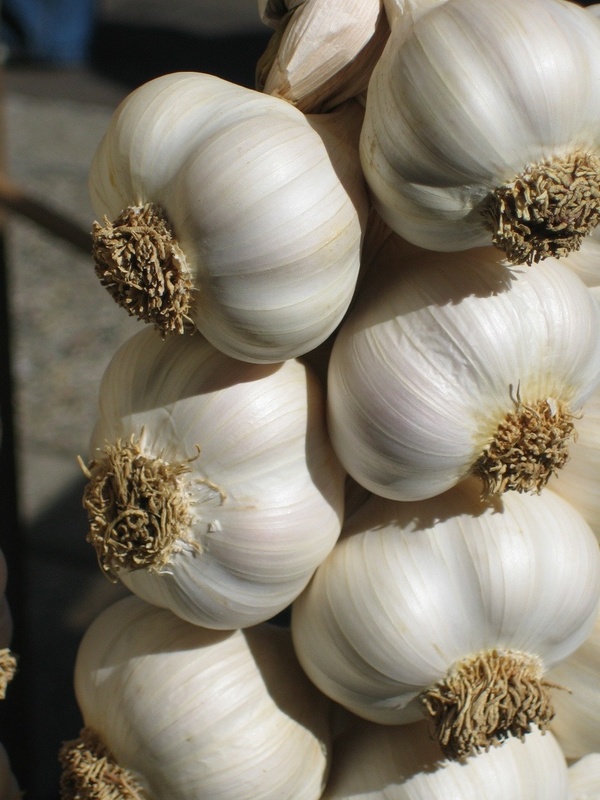 For cough, flu, and respiratory ailments, make a cough syrup out of garlic. Slice 1 pound of fresh garlic and pour one quart of boiling water over it. Let sit for 12 hours, then add sugar until you reach the consistency of a syrup. Add honey for better taste, if desired. For sore throat, make a garlic tea by steeping several cloves of garlic in half a cup of water overnight. Hold your nose and drink it. Externally, garlic is a known anti-bacterial and anti-infection agent. An interesting use for ear aches is to slice a garlic clove, heat briefly in a small amount of virgin olive oil, and let cool. Then use a drop of two in the affected ear (strain the mixture beforehand, of course).